Outlook: While Utah has no laws specifically banning online poker, the game is well covered by the state’s broad, all-encompassing anti-gambling statutes. Utah’s strict outlook against online poker won’t change in our lifetimes. 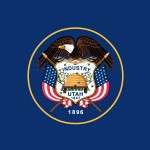 In 2012, Utah passed a bill which exempted the state from any online-gambling legislation passed at the federal level, a prospect raised by serious negotiations over the Reid-Kyl measure then before the United States Congress. If you want to play online poker from Utah, the best and safest bet is simply to move to a neighboring state. Details: Utah’s strident anti-gambling history makes it a “not recommended” locale for the playing of online poker, even if the state has never attempted to prosecute any of its residents. (ii) is in accord with an agreement or understanding that someone will receive something of value in the event of a certain outcome. Such a broad definition certainly includes all forms of poker, and later sections of the statute make it clear that anything above the awarding of a free replay on a pinball machine is deemed prosecutable by the state. While some could argue that the specific lack of a mention of “online” or “Internet” poker or gambling in conjunction with Utah’s gambling restrictions might allow a loophole, the broadness of the definition probably precludes any claim that online poker in the state is anything but illegal, despite one site’s claim of “maybe” for Utah online poker legality. Instead, Utah’s legislature took the preemptive measure of passing a law which opts the state and its residents out of any law passed on the federal level dealing with online gambling in any form, whether it’s poker, a state lottery or anything else. In March of 2012, Governor Gary Herbert signed HB 108 into law, effectively precluding online gambling from being legal in the state for the foreseeable future. HB 108, first submitted by Utah State Assemblyman Stephen Sandstrom, originally called for some draconian measures, including the possibility of felony convictions for players convicted of gambling online, as well as censorship measures demanding that ISP’s (Internet Service Providers) would be forced to create a blacklist of online gambling sites and bar Utahns from accessing them. Lobbyists on several fronts succeeded in having those provisions watered down, though the end result of the bill is still an affront to poker fans. 53 (b) any mobile electronic device that allows access to data and information. A subsequent passage also states that a Utah citizen is guilty of “gambling” (as very broadly defined) by participating “in any gambling, including any Internet or online gambling”. The first offense for playing online poker in Utah is thus a Class B misdemeanor, punishable by up to six (6) months in jail and a $1,000 fine, while second and later convictions are elevated to Class A misdemeanors, punishable by up to a year in jail and a $2,500 fine. As dire as the Utah situation is, online poker’s traces in Utah can still be found. 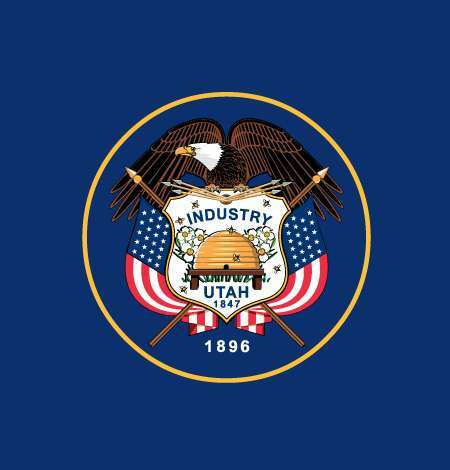 HB 108 as enacted now includes a clause that stipulates that online traffic connected to other jurisdictions’ online-gambling activities can pass through Utah’s electronic connections without the state’s businesses fearing prosecution, as long as they aren’t actively involved with the business in any way. Additionally, St. George, Utah was the location of the SunFirst Bank operation, the payment-processing scheme at the core of the US federal government’s “Black Friday” crackdown against online poker. Even though the playing of poker was never allowed, state officials may have given the processing of related online transactions a muted green light before the federal clampdown, which was led by the FDIC.